De Zuivelhoeve, a Dutch Dairy company, implemented the HAI*QPM software to create a paperless production environment and real-time information on production and quality. The HAI*QPM software is used “in the HAI*QPM Cloud at the Fujitsu data centre. The HAI*QPM software has replaced a great deal of paper work to record quality control and production data during the manufacturing process. Next step is to connect HAI*QPM to the process control systems, to automatically collect process data, like process settings, runtimes, temperatures, weights, etc. For Joost Winkelhorst, CFO at de Zuivelhoeve, the HAI*QPM implementation is the imminent fulfilment of a longstanding desire to have a good shop floor information system connected to the existing M3 ERP system. A wide range of ready-to-use production and quality reports, powerful performance metrics and statistics are directly available in HAI*QPM. The administrative burden of operators at the production line can be reduced substantially and shop floor transparency improved. From a technical point of view, HAI*QPM is unique, since it is a true cloud solution. “It took 5 minutes to make HAI*QPM available for de Zuivelhoeve, and we could immediately start using the software” says Sebastiaan Ekkelkamp, IT Manager at de Zuivelhoeve, “No need for a local server and installation of the software, nor do we have to take care of maintenance or system management”. We benefit from the ease of use from the HAI*QPM Cloud at the Fujitsu data centre, sourcing the same application and sharing infrastructure and database to gain costs and performance advantages. A key advantage to this cloud solution is that all data is centralized and accessible over the web from any place at any time. 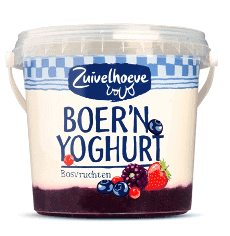 De Zuivelhoeve (www.zuivelhoeve.nl), a Dutch dairy producer, known for its outstanding “yoghurt in a bucket” has 2 manufacturing facilities. Recently, De Zuivelhoeve won the Food Top Award for a new product introduction, a cream cheese called “HEKS’NKAAS®”. HAI in The Netherlands (www.hai.nl) delivers Enterprise Manufacturing Intelligence (EMI) solutions to help manufacturing companies to accelerate operational performance initiatives, drive operating strategies and capture actionable insight in production & quality compliance. Using HAI*QPM, manufacturing teams can create real-time information on Production- & Quality Compliance and drive corporate initiatives like Lean, Six Sigma, TPM, and other continuous improvement methods. HAI*QPM is successfully implemented in Europe at Orkla Foods, Pepsico, Cosun, Elopak, Heinz and Yakult.